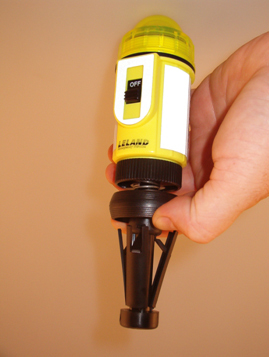 The ESL I strobe light has many interesting accessories. Please contact us is you do not see what you need. Average life is 4 years of normal use. best results. Only fits in ESL I products. Average life is 6 years of normal use. fitting attaches to all ESL I bodies. Only fits in ESL I products. ABS plastic with 1/4"-20 threaded brass insert, with bayonet fitting attaches to all ESL I bodies. Only fits in ESL I body. Bolt not included. any traffic cone that has a standard 1" diameter hole on the top. 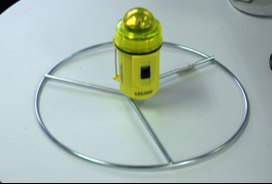 Just pull the ring as shown and the unit easily engages the cone. Let go and it's mounted! Retract the ring to release. Only fits in ESL I body. Strobe not included for this P/N, however, we do have a line of pre-attached products called HighVis ®. 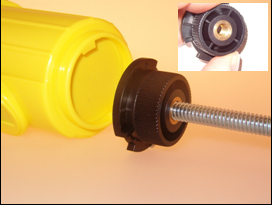 ABS plastic bayonet fitting attaches to all ESL I bodies. Secure 20 pound lift magnet. Only fits in ESL I body. 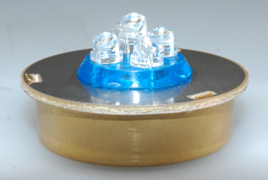 Acrylic lens screws onto top of ESL I units, accepts both Xenon and LED modules. Warranty: 1 year Only fits ESL I bodies. 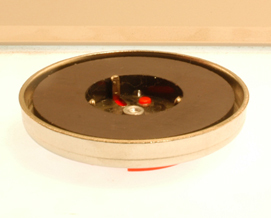 Acrylic lens screws onto top of ESL I units, accepts both Xenon and LED modules. Cuts Smoke like a knife. 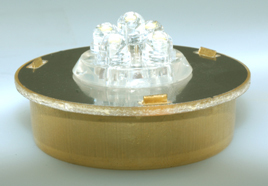 Acrylic lens screws onto top of ESL I units, accepts both Xenon and LED modules. 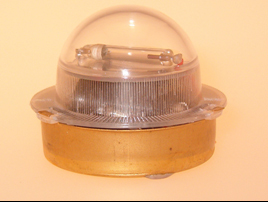 Works best with LED modules for improved side visibility.